Not everyone is thrilled about cloud computing – who knows what might happen to your data when it’s out there, mingling with all that other data? 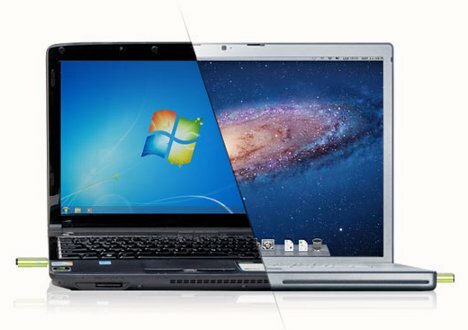 The iTwin lets you transfer data to and from any computer – as long as they both have an internet connection – all with no cloud in sight. The concept works like a combination of the best qualities of flash drives, remote access software, and cloud computing. The iTwin consists of tandem USB devices that are plugged one into the other, then into one computer. You set up your connection (no software installation required), leave one half of the device plugged into the first computer, and take the second half to another computer. A secure internet connection between the two halves of the device allows you to share your entire hard drive securely and make edits from either end. 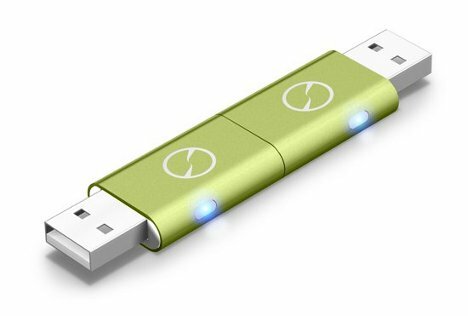 If you happen to lose the second half of the iTwin, it’s nowhere near the tragedy that a lost flash drive can be. You can disable the lost device remotely, preventing unsavory types from accessing your data. Unlike cloud storage, the iTwin lets you share unlimited data forever with no charges other than the cost of the device. It’s designed to be user-friendly and simple for even novice computer users to operate. The very cool design won a 2011 Red Dot Award and seems like the best alternative so far to the expensive, the non-secure and the difficult-to-use data sharing options out there.